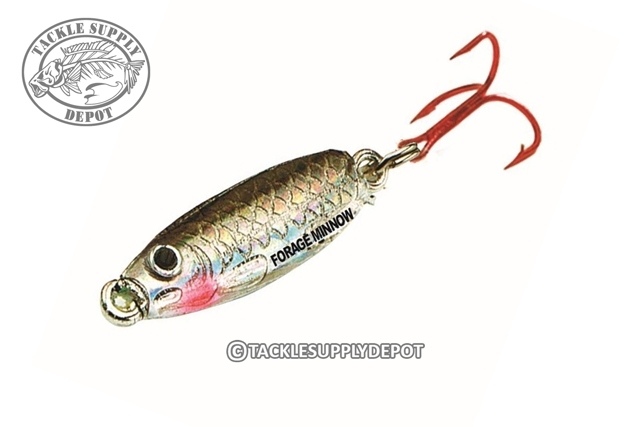 The Holographic Forage Minnow Spoon's erratic, crippled-minnow action catches everything from walleyes to perch, bass, trout and panfish. Jig it aggressively for maximum flash and flutter, or slow things down and twitch the treble when gamefish move in to investigate. Tip with a minnow head, waxworms or IMPULSE Minnow Head and Perch Eye.